You must take your light – the healing power of God beyond the 4 walls of the church and into the 4 corners of the earth. Joan Hunter Ministries can equip you to do just that! We will give you the words to say, the words to pray and the confidence to step out and share Jesus everywhere you go! What does being ordained mean? Upon application approval, you become eligible to apply the 4 Corners Alliance Network. A total of ten powerful sessions with training and equipping relevant to your Ordination and next steps in ministry. This is offered in Tomball (NW Houston), Texas twice a year. Complete Required Materials Package for Ordination. Be sure to read and watch all of the materials before attending Ordination as well as turn in your Pre-Ordination Review. Completion of all requirements must be met before you can receive you Ordination Certificate. You will not have time during the Ordination Conference to complete any unmet requirements. Download, complete, and submit the application forms below. I am Ordained and am a 4 Corners Alliance member. I have been with Joan to Israel, Switzerland, Ireland, India and to several locations in the US. Each time I listen to her message and watch her minister to the sick, she encourages me. One of the highlights in my life was in Dublin, Ireland when I had the privilege to pray for a woman that had been deaf since she was a child regain her hear in Jesus name. Being with her on ministry trips is a real blessing. My life is completely different after meeting Joan Hunter. I had never before heard teachings on healing like I have learned from her. The Lord has truly given her revelation to help bring health and freedom. My mind is renewed, my marriage is stronger and we are now out of debt. 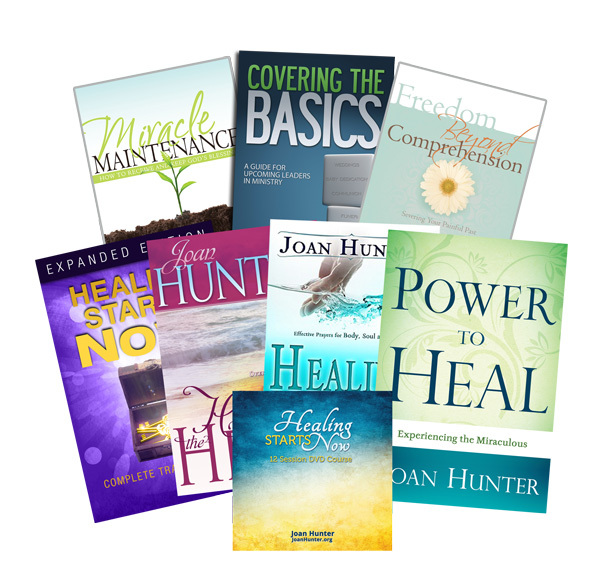 I had never before thought about our finances needing healing as much as our bodies and minds before hearing Joan teach. Being ordained through her ministry and becoming an Alliance member are some of the best things to happen to me. The Lord gave me two words at the end of 2016, ”Divine Alignment.” I was introduced to Joan Hunter Ministries in 2017. I was certified in Healing School first then returned and was Ordained in April of 2018 and became of 4 Corner Alliance. Joan has inspired me as a writer, prophet and Apostle leader. Her godly example has taught me to serve, align, love and decree. I look forward to learning more from Joan and partnering with a ministry that demonstrates the love, power, and word of God! As this Saturday afternoon session of Ordination begins, Joan calls up the current Alliance members who are there volunteering and serving the new Ordination Graduates. They stand behind each of the new Alliance Members as a display of the support found in the Network Membership. They stand behind and with those who are joining the Network. Some of the greatest friendship and relationships are among our Alliance Members.